Do you watch the show Parenthood, on NBC? There are several reasons I am addicted to it. 1. The character with autism - Max. 2. 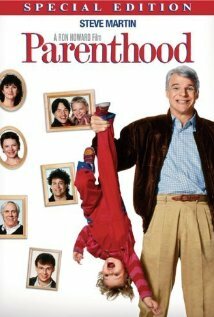 It's originally based on the 1989 movie "Parenthood," which I loved and have seen probably a dozen times. Steve Martin can do no wrong. And you gotta love Martha Plimpton, Leif Phoenix (way back before he changed his name to Joachim), Jason Robards (Herman Munster! ), Rick Moranis, Keanu Reeves (dude! ), and Tom Hulce and his little kid, Cool. 3. One of the stars, Peter Krause, is from Minnesota and I actually know a couple of people who know or knew him. I'm thisclosetoastar! ﻿﻿Altho I'm not sure that counts as a real reason I watch the show. He's been on other TV shows I haven't ever seen. ﻿﻿﻿﻿﻿﻿﻿﻿Anyway, I was probably mostly attracted to the show because I wanted to see how they'd portray a character with autism and his family. Max is very high functioning, as far as I can tell. And isn't that more convenient for their storylines? A kid who spends most of his time in a typical school, and can talk and sit at the dinner table and dress himself, whose biggest signs of autism are some obsessive compulsive tendencies and aversion to change is a lot easier to write a script around than a kid who isn't completely toilet trained, demands one of only seven different types of food for every snack and meal, and who screams and bites when strangers get too close to him. It annoyed me that Max was so conveniently "normal." I guess I got over that, though, because I still watch, and I haven't even written to the producers to complain. And there are plenty of storylines surrounding issues with Max that I totally relate to. 1. When his sister was required to stay home and look after him. I worry a lot that Aliza will feel responsibility that might border on resentment. 2. When Max finally had a friend come over to play, and how overjoyed his parents were. That was such an important storyline. Both Max's parents and the friend's parents were tearfully thrilled their sons had found some common ground and formed a friendship It's hard to watch your child be alone every day, while the rest of the world carries on obliviously, happily social. 3. How great his relationships with the rest of the family are. In one episode, Max's grandpa had a tough time accepting the way autism limits Max. And in another, his cousin Amber spent some quality time with him helping him understand some important social cues. Amber just got that Max didn't understand nonverbal, social cues that everyone else takes for granted, and she patiently explained things to him without demoralizing him. It was a beautiful moment between them. I watch every week, and and now I find myself being appreciative that Max is so verbal. Because when he states his feelings I sometimes think that's what my boys would say, if they could express themselves as well as Max does.